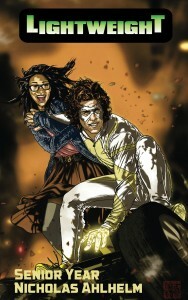 Today I was lucky enough to snag an interview with Nicholas Ahlhelm, creator of the Lightweight series, about a teen superhero who can manipulate gravity, and the problems he is encountering both as a metahuman and a human. 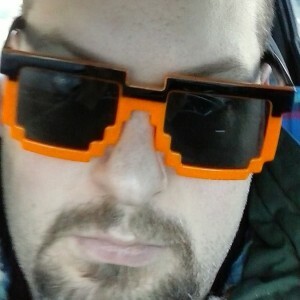 Nick is the man behind Metahuman Press (where my very own Firedrake series saw its birth), and he’s helped an awful lot of folks getting into superhero stories to get their start. He’s also one of the founding members of the Pen and Cape Society, where his history and expertise can be shared with other authors. I’ve had better summers. Slipped discs and neck surgeries were new to me until July, but I have a wicked new scar to show off to all my friends. All the stories I can now make up about knife fights should also help my mystique as a writer of action. “I almost died, but you should see the other guy,” can now finally be part of my regular conversation. But no, seriously, things are going well for me, hanging out with the kids and doing a heck of a lot of writing. Sweet! 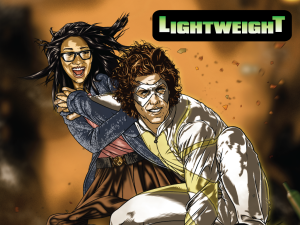 So what I’m hearing around the watercooler, so to speak, is that you’ve got a Kickstarter going for the next volume of Lightweight. Tell me what you’ve got going. The first two volumes of Lightweight’s saga, Lightweight: Senior Year and Lightweight: Black Death were both rousing successes, far and away the most successful writing I’ve ever done both critically and in sales. But I set out to make a series when I started to write them and a series is what I want to deliver. Lightweight: Beyond is the first book in the next chapter of Lightweight’s life, as he finds himself stranded on a whole different world called Nill. He’s got to survive there even as he becomes the center of another battle between forces beyond his control. And if that wasn’t enough, Millie will have to deal with the old threat of Carrie Bates back on Earth. Her story will add another wrinkle to the history of Lightweight, introducing the world to the Golden Age Lightweight. Oh, man. That sounds cool. What have you got in mind for the stretch goals? The big two stretch goals are the releases of two more Lightweight novels planned for next year: Lightweight: Golden Age and Lightweight: Universal (tentative title). If they’re unlocked everyone at the $15 pledge level or higher gets them as digital ebooks free or will be able to add them on in print for just $10 a piece. We can also unlock a series of Lightweight bookmarks to $15 or higher backers. The highest stretch goal will unlock The Adventures of Lightweight, an anthology set during the first year of Lightweight’s career that will feature a new story by yours truly as well as 5 or 6 tales by other writers. That will only go into production if we reach the $2800 level however. You’ve been at this one for a while. How long have you been writing in general? The coy answer is I’ve been writing all my life. Lightweight took much more simplistic shape way back in my high school days. 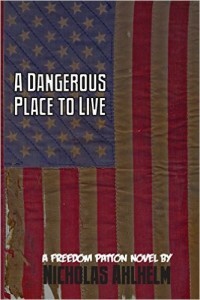 But I’ve made a go as a professional writer for about five years now, dating back to my first novel A Dangerous Place to Live. It’s a bit rough around the edges, although I did do a re-edit of it just last year. Freedom Patton is actually still one of my favorite creations and I want to return to him again sometime soon. Wow. That’s quite a bit. So tell me this: What cultural value do you see in writing/reading/storytelling/etc.? I think the world would be a sadder place without storytellers. I think stories reflect important traits of the human spirit. Without them, we aren’t really people, just another animal. I particularly love writing super powered fiction because it allows me to take on the hero’s journey. What did you enjoy most about writing the Lightweight series so far? Lightweight has been one of my favorite creations for decades before I started any plans to publish his adventures. So I have a lot of fun bringing him to life year by year, hopefully for many decades to come. I love hearing fan’s responses to the work as well. I have received far more feedback for Lightweight than anything else I’ve done, almost all of it positive. Are there underrepresented groups or ideas featured in your book? If so, are they part of a larger overall theme, or are they just there because that’s who they are? In a way, I think super powered fiction is underrepresented in its own right. It certainly is getting more and more releases every year but super-powered heroes and prose are still a new combination. I do set out whenever I write a new story to represent the world around me. That means that everyone will not have the same features as me. Lightweight has its share of multi-national and multi-ethnic characters, and they will expand even more in the next volume, especially as I introduce characters that aren’t even human. As to the story so far, I’ve said before that Millie is as important a character as Kevin in the ongoing adventures of Lightweight. She’s also the daughter of much older parents that are around seventy when she turns eighteen in between Black Death and Beyond. They happen to be African American and Korean as well, which influences Millie’s relationship to everyone else. This leads to a rather tragic consequence in the pages of Black Death, that I wouldn’t want to spoil. 1: What is the biggest thing that people THINK they know about your subject/genre, that isn’t so? I think most people assume some kind of generic superhero setting, where everything looks like what Marvel or DC is doing in comics and movies. Sure, Lightweight is set in the modern day, but a large chunk of my fiction is cemented securely in a moment of time. I’ve got three different historical novels currently in the works. This year’s action in Lightweight will feature time travel back to 1950, a time barely touched by any Marvel or DC franchise. 2: What is the most important thing that people DON’T know about your subject/genre, that they need to know? I think the biggest mistake most fans make about superheroes is that they’re a genre at all. I think it was Steven Grant that first defined superheroes that way and he couldn’t be more right. Superheroes are just a trapping. In many ways, they are just another setting, rather than a true genre. They can fit into anytime or any place or really any genre of fiction. They will probably end up in a science fiction setting a lot sure, but heroes can be as easily put into historical fiction, romance fiction or mysteries as they could modern adventure fiction or futuristic sci fi. Nicely said. Well, now, other than the Lightweight series, what projects are you working on at the present? I’m wrapping up a story for the Airship 27 charity anthology Legends of New Pulp while also working on more chapters for my Walking Shadows web serial (set in the same Quadrant Universe as Lightweight.) And I’ve got a couple anthology stories I’m working on including a chapter in a new super-team book and the second volume of Horror Heroes. And always more Lightweight. Busy man! So what do your plans for future projects include? I have a couple more chapters of Quadrant coming soon. I also have a couple independent novel projects that are mostly done and just waiting for me to put in a few thousand words and then give them a second pass. And again, more Lightweight. Since I’m obviously not good at reading minds here, let me ask you this one: What question do you wish that someone would ask about your book, but nobody has? I’m not sure if there’s any question that hasn’t been asked, but I’m still trying to figure out why someone hasn’t already came running in to try and scoop up the option yet. 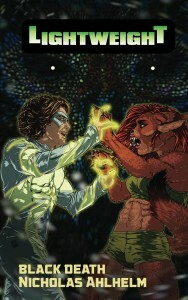 If Lightweight wouldn’t make a great superhero TV series or movie, I’m not sure what would. Aw man! See, I wasn’t gonna come right out with that. I was, however, going to throw this furry ball of cuteness at you: If your character Kevin was a lemur, how would he help the other lemurs battle those mean meerkats? Oh, yeah! Man, I miss Zoboo. Always a fun critter to watch. Well, Nick, it’s been great chatting with you. You should come by more often. In the meantime, you get fired up on the new Lightweight chapters. Folks (you know, like me) want to see what happens next! Ladies and Gents, once again, I will point you to the links Nick has provided for the new Kickstarter. While I’m at it, I’ll throw in links to his personal website, blog, and probably a pizza joint or something just to make life interesting. See? They’re right down there! The original, the one and only, MetaHuman Press! And one more time, the new Kickstarter, so you can have a hand in making the next chapters of Lightweight come true!